The PR Lawyer: How Do You Set Up a Free WordPress Blog? Do you have the urge to write and publish but don’t want to invest time and resources in establishing a full-blown website? A WordPress option allows users to set up a blogging website, for FREE. Just follow the steps below and you’ll be on your way to blogging in no time. Click “Create a Website” or “Start a Blog” (both have similar results). NEXT PAGE: Type in the name you have determined for your blog; this is the web address people will use to find your blog. The name will be appended by .wordpress.com, so your site name will be yoursitename.wordpress.com. WordPress will let you know if that address is already taken. NEXT PAGE: Check your email to complete your registration. Your account is now active. Log in to your blog account with your username and password. In the black menu bar at the top of the page, click on “Dashboard.” Select a blog title and tagline that will display at the top of the blog. These should be search-engine optimized to reflect the topics and subject matter of the blog. These can be edited at any time during the life of the blog. There are free themes to select from if you navigate to the right-hand side and click the bar that says “all” and select “free.” After selecting a theme, click “try and customize.” Using the left hand side menu, you can change colors, backgrounds, fonts, the header image, menus, and add widgets (see Step 3). Widgets enhance the design and functionality of your blog. On this page, you will choose what functional options you want the blog to show readers. The most common widgets are an Email Subscription form (a widget called “Follow Blog”), Categories, Archives, and a Facebook like box. It is recommended that you also add a Meta box so you can easily log in to your site. Once you’ve decided which widgets to use, select them to add them to the list. Drag and drop widgets to move them around your blog layout. Feel free to experiment here. When you’re satisfied with the layout, click on the “save and activate” button. Step 4: Publish your first post! 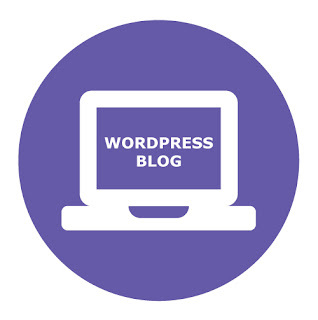 Have you set up a free WordPress website or blog? How was your experience?